With a larger, and more easily readable, text size, discover the change a year of prayers and blessings will bring you. Want to be blessed this coming year? 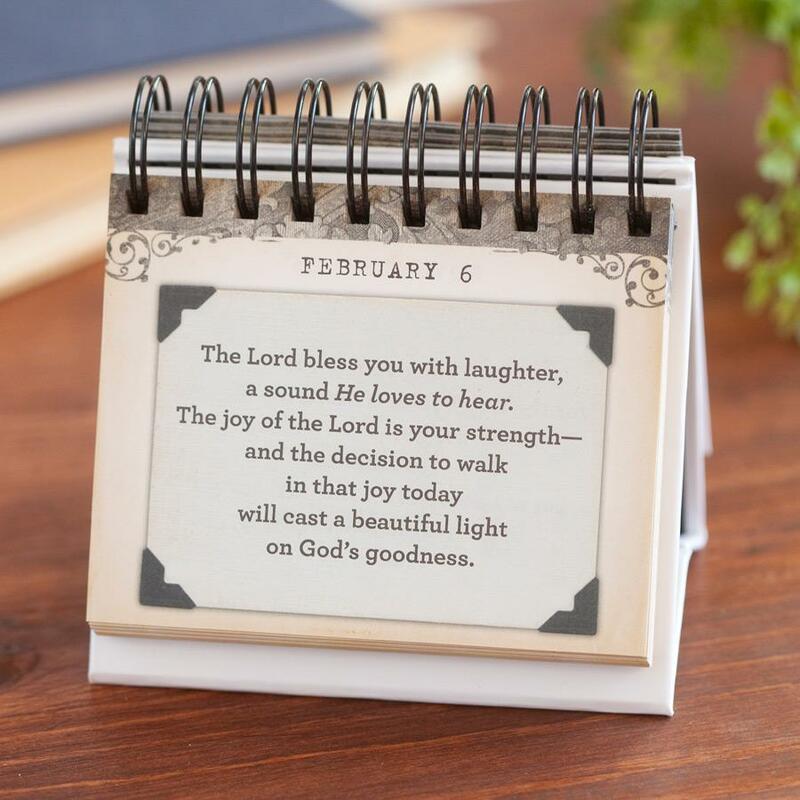 This Large Print Edition Prayers and Blessings Perpetual Calendar is your daily reminder that God cares, God listens, and God blesses - and He wants to take you in the direction of His very best - always. Prayer has an amazing ability to keep us on track, while blessings encourage our hearts to keep moving forward. Let this calendar be a daily reminder that God cares, God listens, and God blesses - and He wants to take you in the direction of His very best - always. This desk top reminder will reassure you that God is in control of every detail, even when circumstances derail us from the simplicity of that truth. Prayer has an amazing ability to keep us on track, while blessings encourage our hearts to keep moving forward. Let this calendar be a daily reminder that God cares, God listens, and God blesses - and He wants to take you in the direction of His very best - always. Prayers and Blessings Large Print Perpetual Calendar is published by Dayspring and is our 2065th best seller. The ISBN for Prayers and Blessings Large Print Perpetual Calendar is 081983486166. Be the first to review Prayers and Blessings Large Print Perpetual Calendar! Got a question? No problem! Just click here to ask us about Prayers and Blessings Large Print Perpetual Calendar.